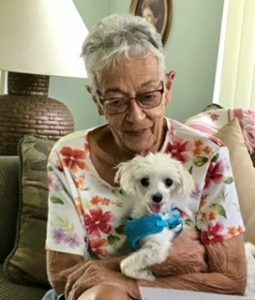 Regis a senior maltese that was dumped at PBCACC by his owner has been adopted. 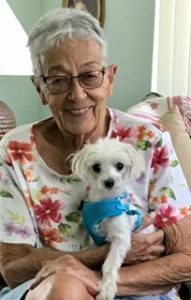 Regis now Charle has placed a smile back on his new elderly mom’s face. A neighbor said, “Anna hasn’t smiled since losing her beloved family members including her dog until Charlie came into her life.